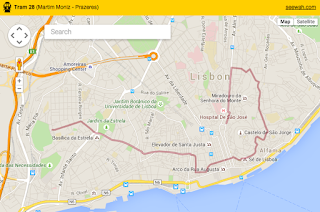 Trying to figure out whether Tram 28 is going to take you where you want to visit in Lisbon? Now you can see the route on an interactive Google Map. 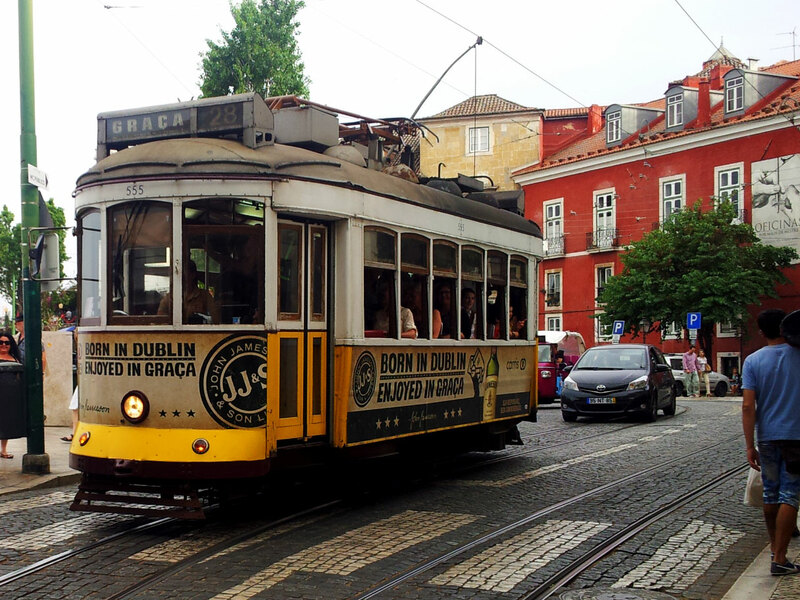 At some point, most visitors to Lisbon will have been on the legendary no. 28 yellow trams which run from Martim Moniz to Campo de Ourique (Prazeres), climbing many incredibly steep slopes and negotiating numerous impossibly tight street corners. While the Transportes de Lisboa site provides information on the Tram 28 stops, the map downloadable from the page is sadly not terribly useful for visitors who are not acquainted with the maze that is the winding streets of Lisbon. For example, the map does not show easily recognisable metro stations or street names. We wanted to travel to the Campo de Santa Clara flea market (open Tuesdays and Saturdays) but the map did not really give us a good idea of how easy it would be to get there by Tram 28. So I naturally googled to see whether there was an interactive online map of the Tram 28 route, and I found none. Coming back home, I decided to create one. Explore the famous Tram 28 route on Google Map, where you can search for places and access Street View, etc. I hope future visitors to Lisbon will find this little map useful. Great, was looking for a route map of tram 28! Thanks! Ha, glad you found it useful, and hope you enjoyed Lisbon! This is very useful, thanks a lot! Hello See Wah! Thanks for this great map! Could I possibly import this onto my own google map where I'm planning my Lisbon trip?